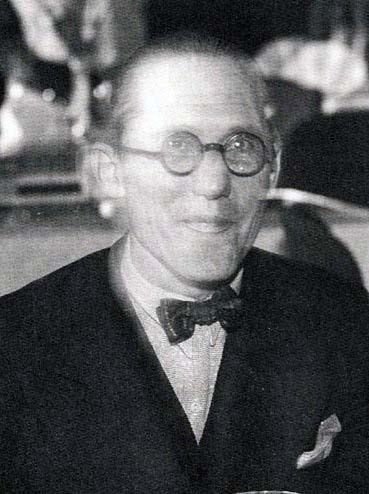 Le Corbusier, born Charles-Édouard Jeanneret, was an architect, artist, and a pioneer of modernism and the International School of architecture. While learning art history, drawing, and the naturalist aesthetics of art nouveau, his professor, Charles L’Eplattenier at the Arts Décoratifs at La Chaux-de-Fonds, encouraged him to study architecture too. He built his first home at the age of 20. Le Corbusier continued to hone his skills through various apprenticeships with various architects, most significantly with structural rationalist Auguste Perret, a pioneer of reinforced concrete construction, and later with renowned architect Peter Behrens. His design ethos soon became grounded in “The Five Points of Architecture.” This checklist established the necessary components of design to include pilotis, flat roof terrace, an open plan, ribbon windows, and a free façade. Le Corbusier’s most famous work is the Villa Savoye located just outside of Paris. His career spanned five decades with buildings constructed throughout Europe, India, and America.